The Ampeg Dan Armstrong Plexi Electric Guitar is a see-through guitar played by Matt Bellamy in Muse's music video for Supermassive Black Hole. The Ampeg Dan Armstrong was used on the Californication tour. Josh Homme uses an Ampeg Dan Armstrong Plexi Guitar in the music video for Sick, Sick, Sick. 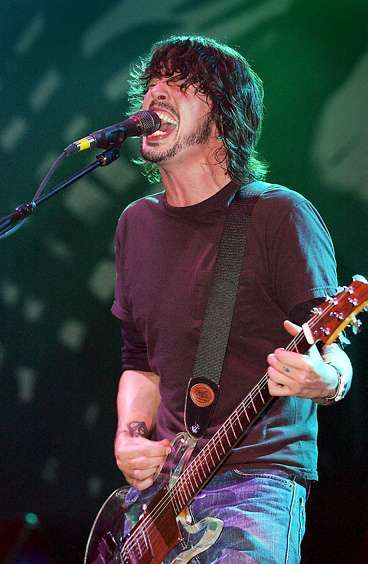 Dave Grohl can be seen playing the Dan Armstrong guitar in this photo. "We have the old Joe Perry mainstay here which is the clear Dan Armstrong. The only difference of this guitar from the stock one is that all these pickups are all custom-made. We've got a couple of these made, they're pretty much identical. They sound great. What we do is it's an open-A, a Keith Richards style open-A with five strings, but what Joe does is throw a bass string on the bottom and we make it an A. So it gives it that growl. This is used in 'Draw the Line'. He used to beat it up a lot, he would throw it down a lot. He's kind of mellowed out with it now. It's a good work horse. It's one of his main guitars, for sure. I mean, if you think of Joe Perry this is one of the guitars you think of," says Joe Perry's guitar tech. You can see Hendrix, along with Keith Richards, playing the guitar. At around 197, Keith Richards used this Dan Armstrong Plexi Electric Guitar quite a bit. On this photo, he plays the Ampeg guitar at the England Empire Theatre, in Liverpool, in 1971. In [this interview](http://www.guitarworld.com/pink-floyds-david-gilmour-discusses-his-technique-and-gear-1988-guitar-world-interview?page=0,2) with Guitar World, David Gilmour's Plexiglas Dan Armstrong is mentioned: "David Gilmour is a renowned guitar collector. Over the years, with the help of his right-hand man, Phil Taylor, he has acquired such rare gems as a Gretsch White Falcon, a Gretsch Penguin, a Plexiglas Dan Armstrong, a '55 Fender Esquire, a Martin D-35 acoustic." Troy van leeuwan used this guitar for the music video 'sick, sick, sick'. 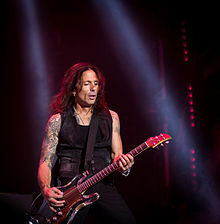 Randy used the [Ampeg ADA6 Dan Armstrong](http://www.ampeg.com/products/daplexi/ada6/) in the Quiet Riot years. Randy can be seen with the guitar in the far left black and white image in the source picture. Tom Petty can be seen playing a Ampeg Dan Armstrong Dan Armstrong Plexi Electric Guitar in this photo. Paul can be seen playing his Ampeg Dan Armstrong Plexi Electric Guitar (the only left-handed one ever made) in the video for "Helen Wheels". ‘I did a lot of work with John at a show backstage in Kansas City. Ampeg had a guitar booth set up, and I took a liking to one of their Plexiglass guitars – this one here, in fact. I feel really privileged to own it, as Ampeg’s Ted Kornblum said if I used it that night on the gig, I could have it – and I certainly didn’t hesitate! It’s such a cool guitar with the see-through look, and quite versatile with the replaceable pickup units. Unlike many models, Fortus' Dan Armstrong is in black colour, but it is still plexiglas-made. 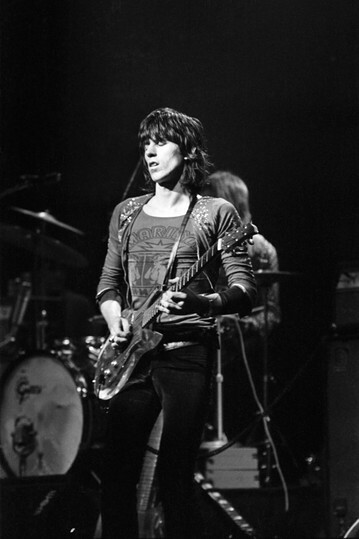 Jagger can be seen in a photo in this article playing an Ampeg Dan Armstrong Plexi Electric Guitar. 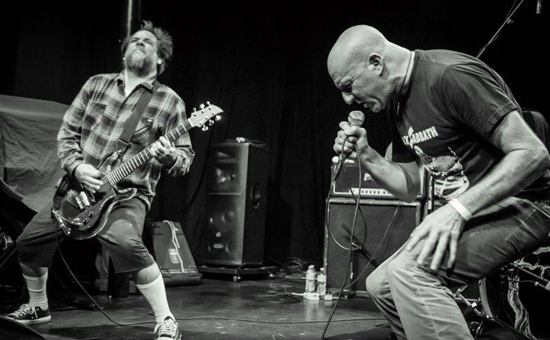 In the picture you can see Al Pitrelli playing a Ampeg Dan Armstrong Plexi Electric Guitar. 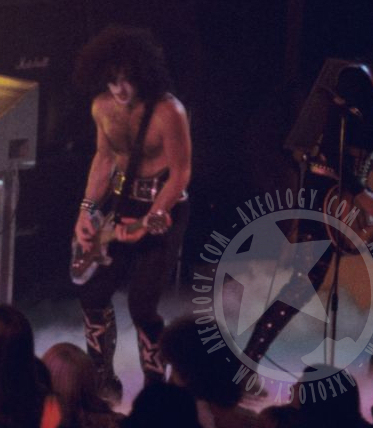 Paul used Ampeg Dan Armstrong guitar live only for a short time in 1974 and can be seen playing it in this image from a live performance. He is seen using this guitar in a live cover of ZZ Top's "Sharp Dressed Man". Paul Westerberg is shown here performing with an Ampeg Dan Armstrong Plexi guitar. When I started playing guitar, back in England, I used to see all of these classic American guitar players holding one of these see through, quasi-plastic guitars and it looked really cool. I found out that they were playing one of these Dan Armstrong guitars. I wanted one for years until they stopped making them and I’d forgotten all about them. Funny enough, in 2006 I had been wondering where I could get my hands on one and all of a sudden there was one, in a backstage Ampeg shack outside the venue we were playing with Journey. Neal Schon was in there checking some stuff out with Scott, who would later work with me. And there was this guitar. So I had to have one. This is a reissue and sounds amazing, considering it’s not even made out of wood. It made the odd appearance on that tour. And you can hear it on Viv's rhythm guitar part, which was originally just a guide (Stones tuning) on Nine Lives. In this photo, one can see Alanis Morissette playing a Ampeg Dan Armstrong Dan Armstrong Plexi Electric Guitar. 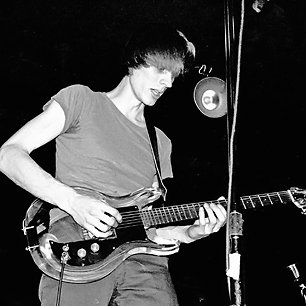 In this photo, Porter can be seen playing the Ampeg Dan Armstrong Plexi electric guitar. You can see in the article's pic. You can see it on the right. As you can see. Ginn is playing his "Custom" Dan Armstrong right here. 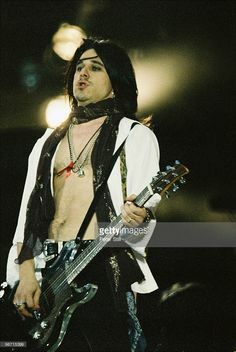 Ginn modified his Dan Armstrong with a Les Paul-style stop tailpiece and a variety of pickups that would frequently have to be replaced when the pickup shorted out. The Ampeg Dan Armstrong Plexi guitar is one of Hill's main guitars for Fu Manchu. In this interview by Premier Guitar, he talks about his gear equipment for the band including his Ampeg Dan Armstrong Plexi guitar. In this video, both Balch and Hill can be seen playing Ampeg Dan Armstrong Plexi guitars for this live concert in Rockpalast. In the video, Brian can be seen playing a plexi glass Dan Armstrong. 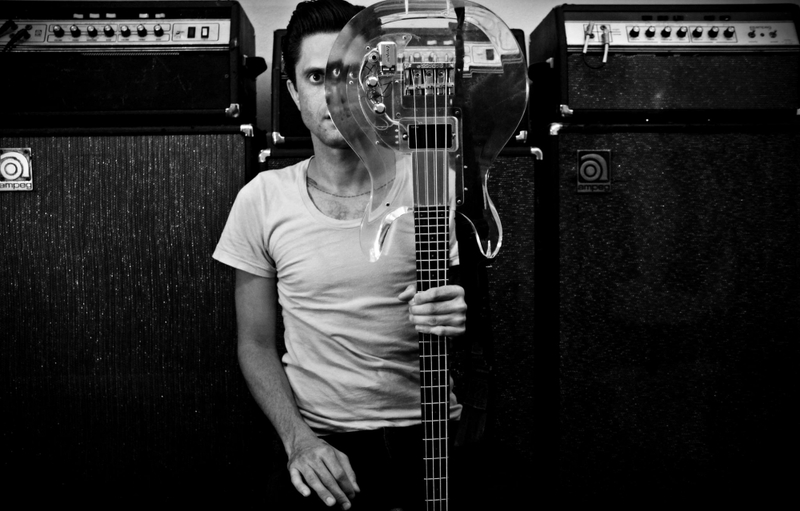 ERROR: Justin has an Ampeg Dan Armstrong Bass, not a Dan Armstrong Guitar. heavy as a b*tch, but worth it's weight in gold. This was my main guitar for a long time, until I decided I needed something that would sound great but be easier on my neck and back through a 3 hour gig. Still one of my go to guitars for recording.